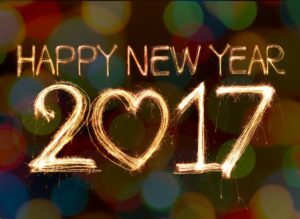 Happy 2017 to our customers! We appreciate your business and look forward to serving you in 2017! We will be open at 8:30 am on Tuesday, January 3rd! http://medicalartshenderson.com/wp-content/uploads/2016/06/LOGOGIFlogoColorLargeenfold.png 0 0 cara kirby http://medicalartshenderson.com/wp-content/uploads/2016/06/LOGOGIFlogoColorLargeenfold.png cara kirby2017-01-02 19:48:362017-01-02 20:59:17Happy New Year! Congratulations to the winner of our Facebook Contest! http://medicalartshenderson.com/wp-content/uploads/2016/06/LOGOGIFlogoColorLargeenfold.png 0 0 admin http://medicalartshenderson.com/wp-content/uploads/2016/06/LOGOGIFlogoColorLargeenfold.png admin2015-02-17 16:06:112016-07-25 16:11:35Congratulations to the winner of our Facebook Contest!